Registration takes place in the local town hall in Louisburgh. 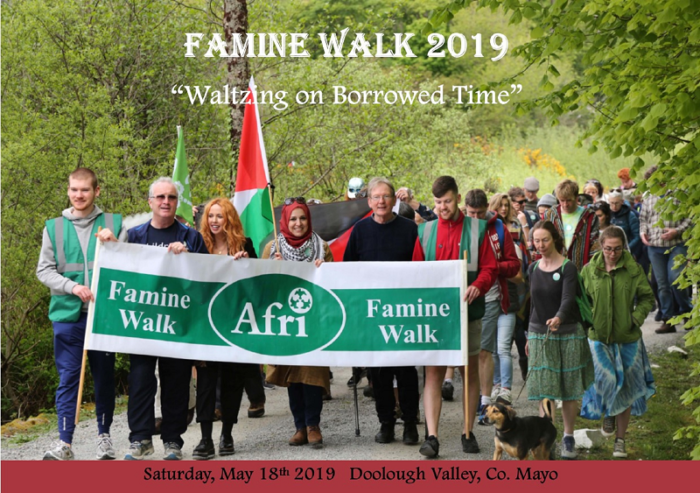 This will be followed by the opening ceremony — a very important part of the Famine Walk experience. Shuttle buses will take participants to the start point, following the opening ceremony. The walk is 11 miles (approx. ), walkers should walk on the left-hand side. A shuttle car will be available during the walk for anyone who gets into difficulty. No parking is available at Delphi Lodge. Portaloos are available along the route.